As a society, we have become more and more connected to our electronic devices. We take for granted the illusion that all the important people in our lives are literally just a click away. Searching focuses on when that connection goes awry. Messing’s performance is outstanding and fearless. She sidestep the glamour and is often shown sans makeup and bleary eyed from lack of sleep. Her intensity is very engaging. 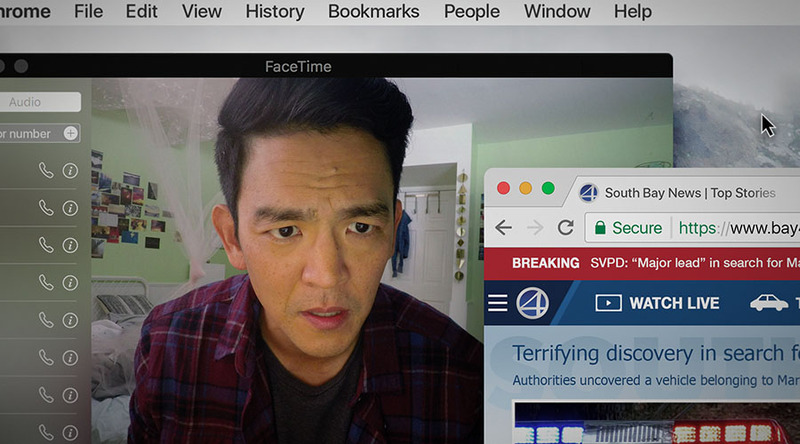 The film is shot in a unique way with the big screen often becoming filled with a multitude on computer apps open at the same time. Even though this provides an abundance of information, it does little to help in the search. This overload almost fells claustrophobic but through the density, a small clue appears and provides forward direction. The film builds to a conclusion that few will see coming and actual ends on a more positive note than expected. Its social commentary is razor sharp and its ‘who done it’ ethos is extremely entertaining.